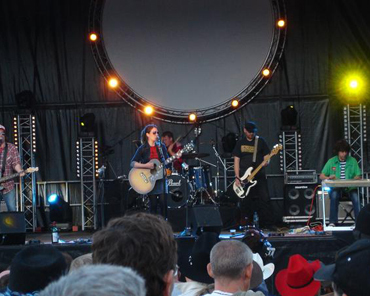 The Redlands Palomino Co – hailed as one of the UK’s top country rock/Americana bands. and James Apollo, plus supporting Sparks with cult London act Gamine, and Rumer with the Golden Retrievers on her 2011 tour. 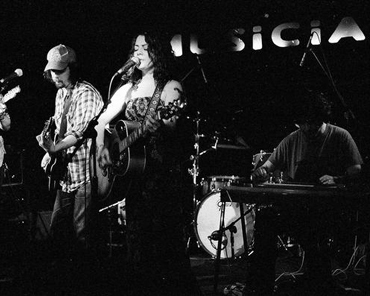 In 2009 I was invited to appear at the ‘Steelin’ Ain’t A Crime’ event at the Luminaire in London, along with pedal steel legends Al Perkins and B J Cole. 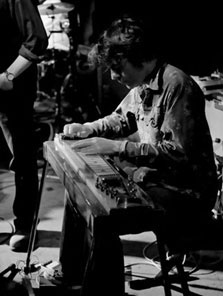 Whatever your style of music, if you feel it could use the gorgeous, unique sound of the pedal steel, I'd love to help you out. I'm keen to explore the instrument's potential in any genre, although if you're just after a bit of 'country flavour' on a track, I'd be more than happy to provide that too! Please have a listen to the sound clips on this site, which should give an idea of the range of material I've worked on. I will work with you in order to achieve the result you're after. If practical I can attend a studio session; I'm based in London but also have a full-time job, so my ability to do this is somewhat limited. But an alternative option – and one that has yielded good results – is for me to record my part or parts at home and email a high-quality sound file (and any subsequent takes, if required, until you're happy with the outcome). This will work out cheaper and potentially lessen the time constraints that come with working in a studio, too. There are quite a few variables involved, so I don't have a 'price list' as such. But I know how tough it is out there these days for us musicians, and so my aim is to keep my fees realistic and reasonable, so if you let me know what you're after musically, we can work something out either based on a fee per track or for a day/half-day recording session.